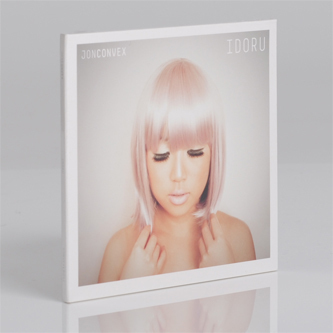 After a year of hard-bodied, Breaksy ElectroTechno Pop singles on 3024, Nonplus and [Naked Lunch], Damon Kirkham presents his debut album as Jon Convex. In parallel with his former Instra:mentalist Alex Green aka Boddika, Kirkham has successfully transposed his D&B production palette into a slower template, triangulating his grooves somewhere between early/mid '00s Breaks, Sci-Fi Electro and rolling, tuffer Tech-House. 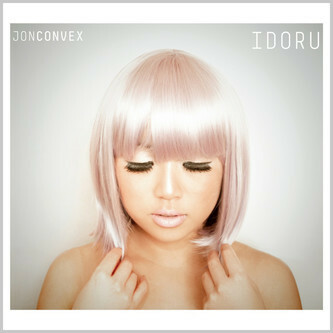 'Idoru' collects ten tracks of spotless studio exercises, including two collaborations with his D&B peers Velvit (dBridge) and Breakage, taking in the Depeche Mode-like Techno-pop of 'Fade' and the updated 'ardcore roller 'New Model' alongside grinding mechanical jackers like 'Aversion' and 'Four Faeces'. In case you've picked up the two 2x10" packs, it should be noted that there are three tracks not included on the vinyl.